TriYas is a big deal in Abu Dhabi, and it’s not just for die-hard triathletes, either. Plenty of amateur athletes sign up just for the chance to be involved in this iconic event. 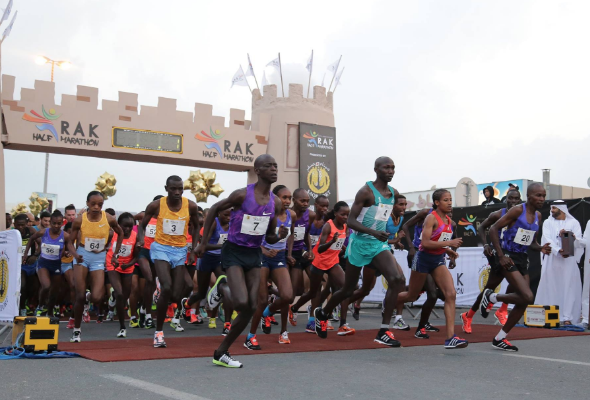 But if swimming and cycling isn’t really your thing, check out these other running races happening in the UAE this season. Even if you don’t end up competing yourself, head to the finish lines and cheer on others. It’ll make you feel just as good. This popular half marathon is also record-breaking as the fastest half marathon in the world. It starts and finishes opposite the DoubleTree by Hilton hotel at Al Marjan Island, with a strict limit of 5,000 entries. The best part? The race culminates in a huge pasta party. Fancy tackling a little more than just a runaround? 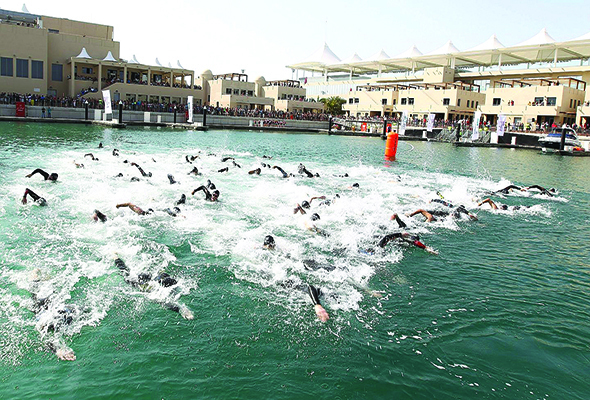 TriYas features a swim through Yas Marina, a cycle on the track at Yas Marina Circuit and a run. The Sprint category features a 750m swim, a 22km cycle and a 5.5km run, while the Olympics category features a 1,500m swim, a 38km ride and a 10km run. One for serious runners, this new multi-terrain ultra-trail is the only single-stage 50km and 100km trail run in the UAE. It will take you through mountain ravines, past boulders, and over the sand dunes of Ras Al Khaimah. There are three distance options available: 30K (with a cut-off time of 5.5 hours), 50km (with a 12-hour cut-off), and 100km (with a 24-hour cut-off limit). Participants can spare their tired legs a hurried drive home afterwards by taking advantage of the Khatt Springs Golden Tulip Hotel’s discount for the first 25 participants to book a room. 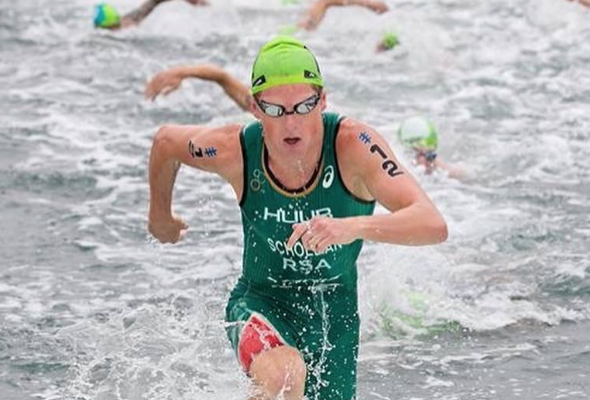 Part of the ITU World Triathlon series, this annual event sees some of the world’s best triathletes compete. It’s not just for the pros and elites, amateurs are welcome to get involved. There’s an Olympic (1,500m swim, 40km cycle, 10km run; 4-hour cut-off), Sprint (750m swim, 20km cycle, 5km run; 2 hour 15 minute cut-off), and Super Sprint (375m swim, 10km cycle, 2.5km run) option, as well as a range of distances for junior competitors.